I am really happy that you have written books on Knebworth, the 1980 European tour and, of course, that wonderful photographic memory of the 5 nights at Earls Court. 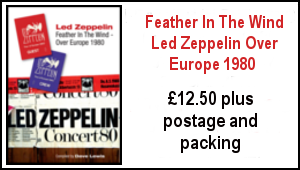 It’s always a ple3asure getting a new Zeppelin book, especially from someone who really knows the band. 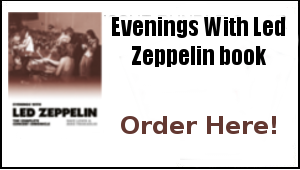 I don’t know what plans you have for your next book (if any) but I would love to read a Zeppelin book which covers the mutual love affair between the band and the LA Forum. 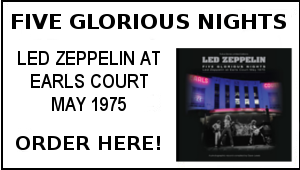 It’s common knowledge that the Forum was pretty much their second home so for me it would be fascinating to have a book that covered Zeppelin and the Forum together over the years.